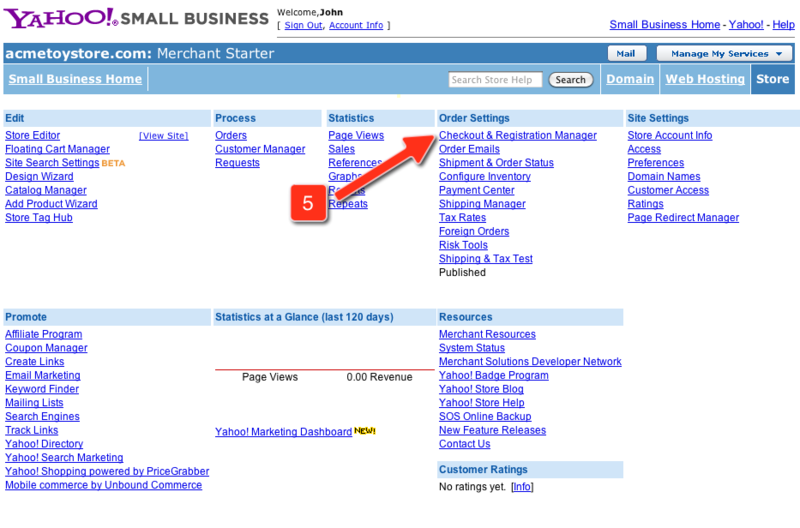 Log into your Aabaco from Yahoo Small Business Store Manager. 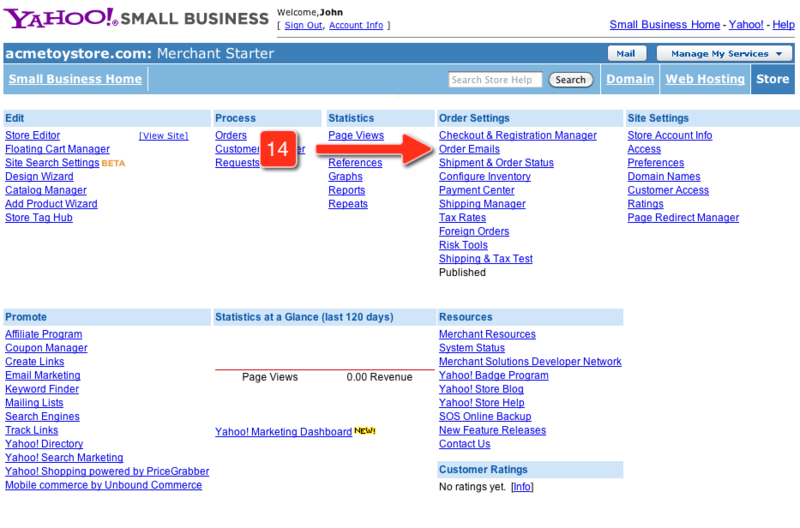 Note: Yahoo Small Business has rebranded as Aabaco Small Business. Latest information here. In the Store Manager, click "Checkout & Registration Manager". 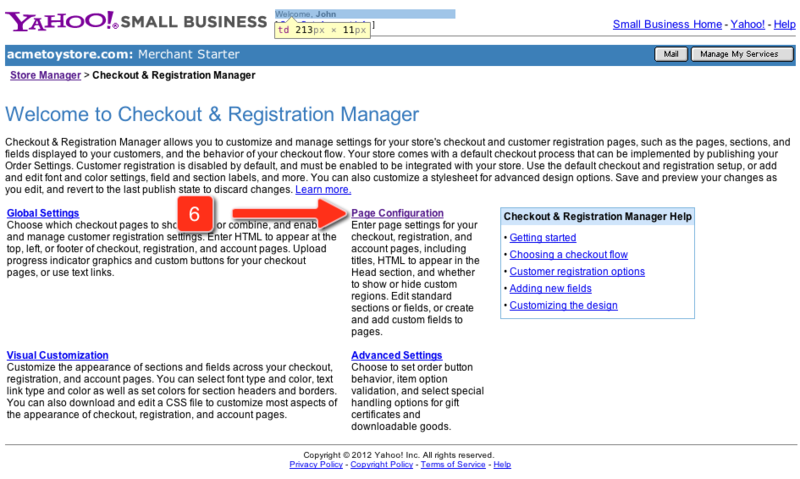 In "Checkout & Registration Manager", click "Page Configuration". 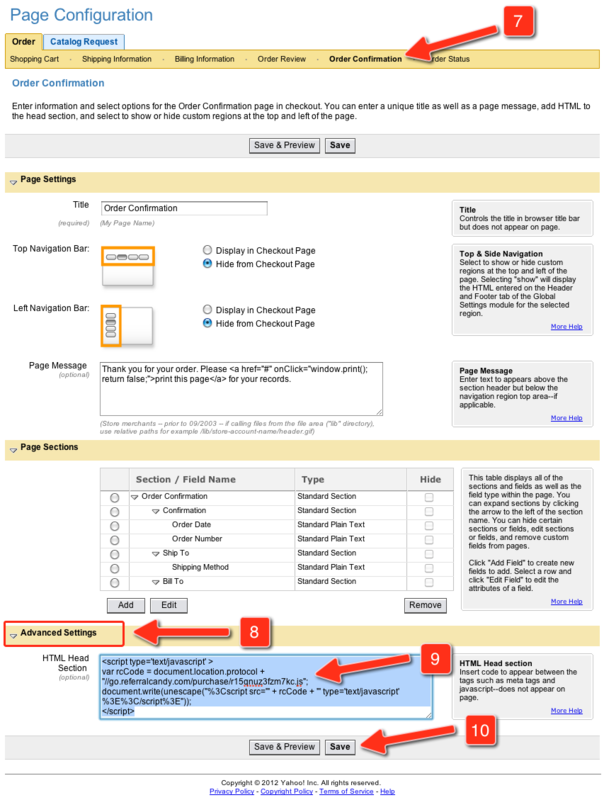 In "Page Configuration", click the "Order Confirmation" link in the middle navigation bar. In "Order Confirmation", scroll down to the "Advanced Settings" section. 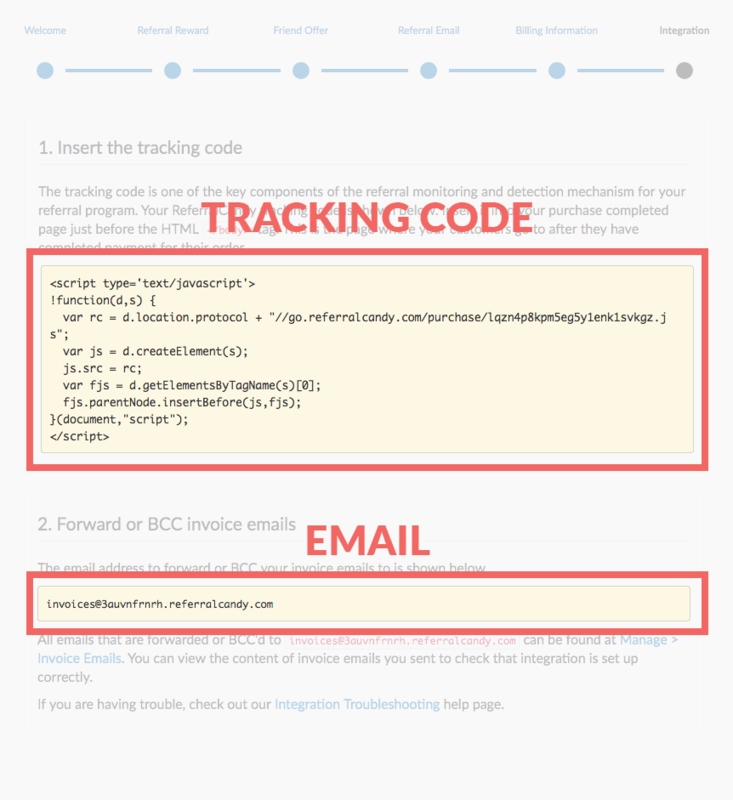 Copy and paste the ReferralCandy tracking code from Step 2 into the "HTML Head Section" text input box. 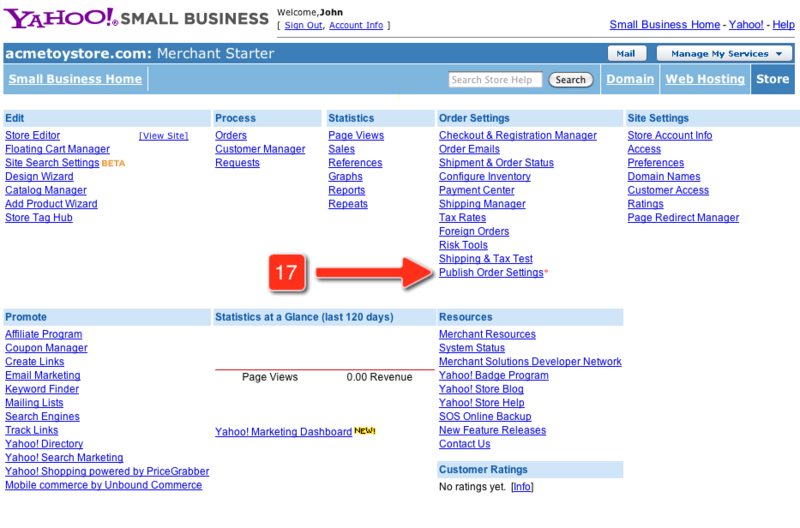 Go back to the Store Manager and click "Publish Order Settings". 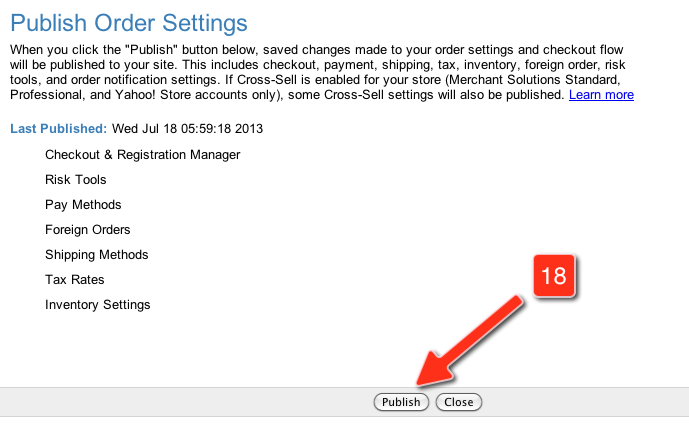 In the "Publish Order Settings" page, click the "Publish" button below to publish the changes to your site. Make sure you have "Order Confirmation Automated Emails" set up before proceeding with the integration. You can find out more about this here. In the Store Manager, click "Order Emails". In the "Automatic Order Processing" section, copy and paste the ReferralCandy email address from Step 2 into the "Email To:" input box. Click "Done" in the top right corner to save your changes.